I have been working on my submission piece for the Vintaj "Plum Orchard" April Competition. This one has been a lot of fun for me. I love art history. Some of my favorite's are van Gogh, Caravaggio, and Vermeer. 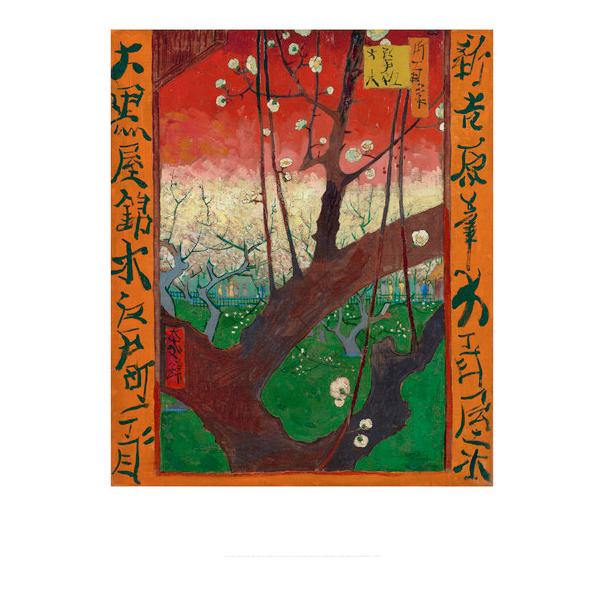 I was excited to see that van Gogh painted "Flower Plum Orchard" and it became the source of my inspiration. I am still working on this piece a bit and am not certain if I will make some changes to it. In this piece I have used Vintaj findings, silk material, vintaj glass rings, and mixed metals; I used a antiqued brass and a matte copper. One of the things that I would have liked to do different is the picture. I would keep the picture the same, but I would have coated the linen paper in a resin instead of sealing it in plastic. It is too late to change it as I do not have the resin, but more so because the piece is riveted together. 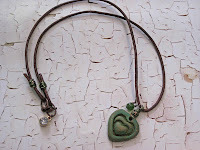 Nunn Designs has Another Great Giveaway! 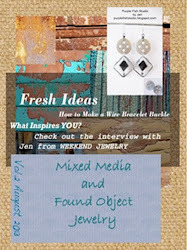 If you get the chance, checkout Nunn Design Notebook Blog, I would recommend it; they offer a great deal of inspiration. They have another great giveaway and this time it showcases wedding jewelry ideas. The prize is $100 in Nunn Design Findings! Oh the pieces of jewelry I could make with that!! 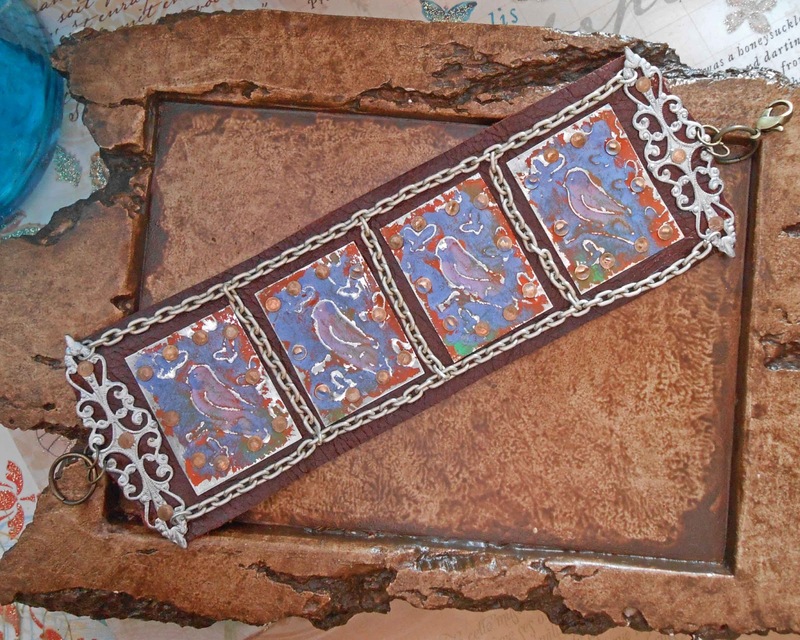 The examples are adorned with rhinestones and pearls. 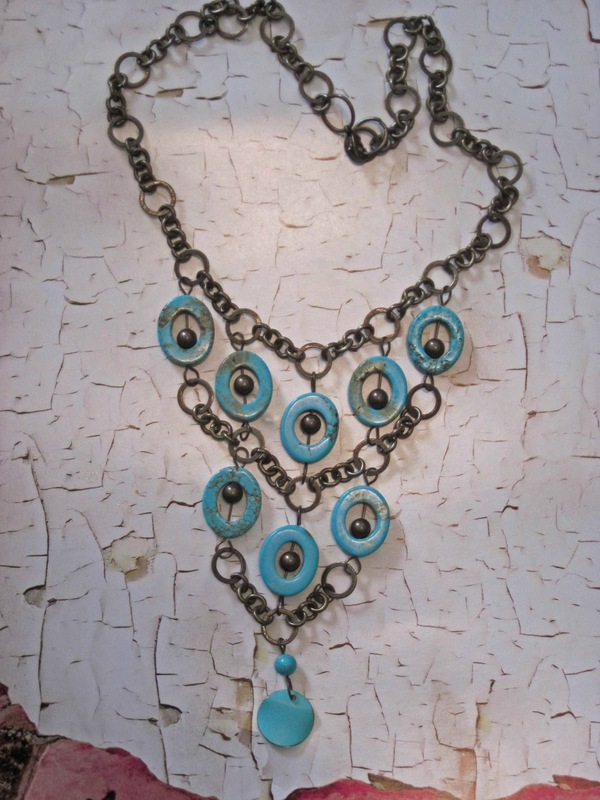 They asked what kind of jewelry I like to wear on special occasions - I have to say it would be vintage and vintage inspired jewelry. I remember the jewelry my grandmother would wear and I always thought she looked so glamorous. I have been working on two new bracelets. Each very different in design. 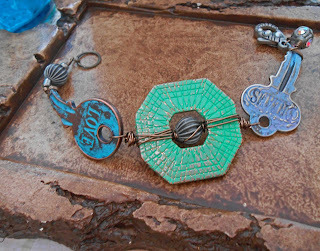 The first bracelet has a stem-punk feel to it. I used two key findings, a couple odds-n-ends beads, and the center focal is the ring to a ring and toggle clasp set. 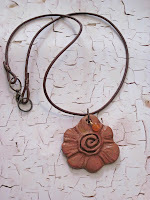 I used Vintaj Permanent Ink Patinas on the pieces and wire wrapped them together. 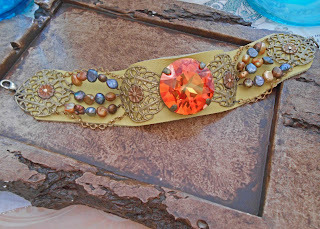 The second bracelet has a vintage feel to it. The crystal focal is Swarovski Summer Blush, with vintage filigree, and wire wrapped metallic dyed freshwater pearls, all riveted to a golden yellow soft leather band; it reminds me of a beautiful summer sunset. 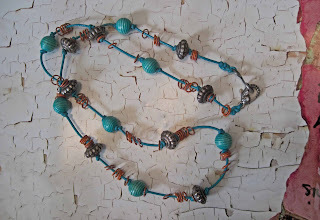 "Strung Out" is the blog spot for Beadaholique (a great bead supply source). 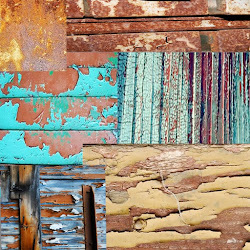 The competition inspiration revolves around the Pantone colors for the season. I am still sketching out ideas for this, as I get a little bogged with such a broad frame for creation. 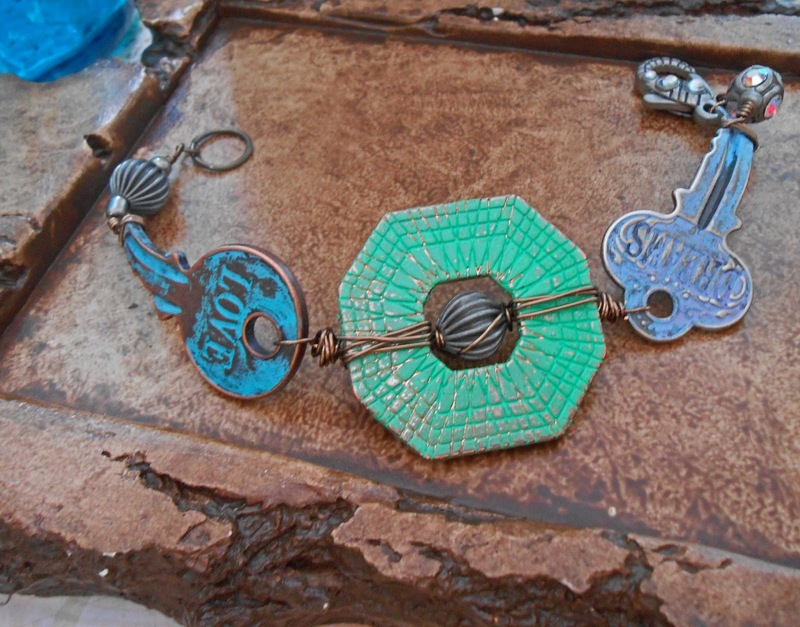 I am leaning towards another bracelet, or maybe a ring for this one. There are only 10 finalists. The first time I submitted a pair of earrings and I made the top 10. The second time, I submitted a necklace, and did not make the top 10. I think there are 100's of submissions for this site - so competition is tough. 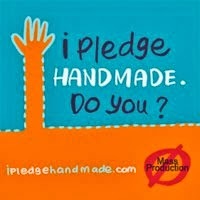 I will keep you posted with the design I decide on and list my creation when it is done. ** Unfortunately, I was forced to remove this picture. I am not sure why as I followed protocol....but so be it. I am sorry for any inconvenience this has caused. Art Bead Scene has a monthly competition. 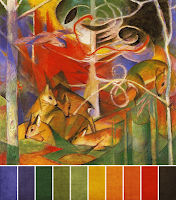 This month it revolves around Marc Franz' painting "Deer In the Forest" I love the colors and geometric line used in this piece. The first bracelet designed for this competition has been designed with a ceramic focal that I made with Yixing clay, and a brass leaf that I bent, both which were painted with Vintaj patina. 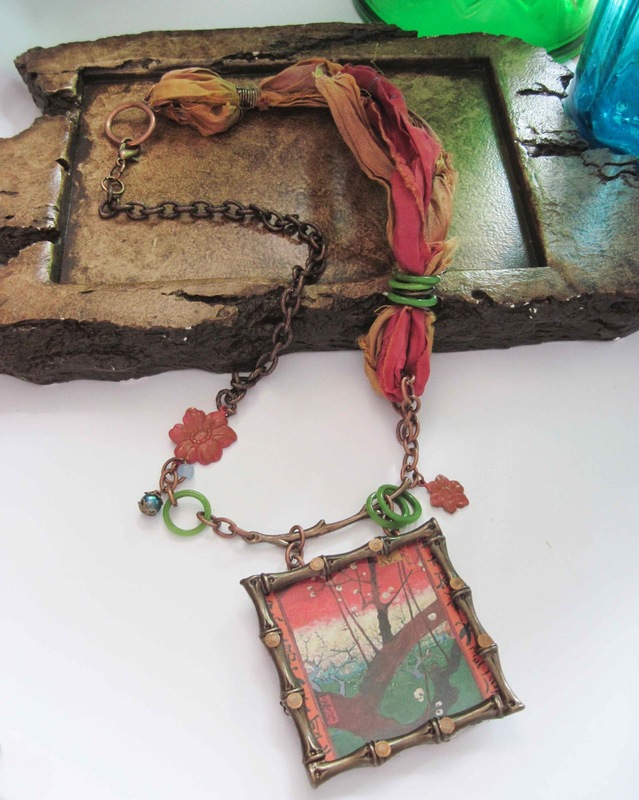 The pieces were then wire wrapped together and I added resin flowers and crystals, which remind me of spring in the woods. 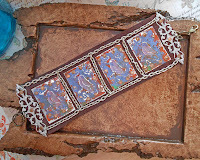 The second bracelet I designed for this challenge is made up of panels, which I hand-cut and filed, embossed, painted and then riveted to the leather strap. Marc Franz "Deer in the Forrest"
Over the last couple of weeks I have been trying to sketch out a design for a competition piece, for the Vintaj monthly challenge, with the focus inspiration being "Plum Orchard" - Initially, I thought of a variety of plum and purple colors. I considered, "what things or words remind me of plums and orchards" - This one is a tough one for me...... I found a book named "Plum Orchard" - but that is about the south and slavery. 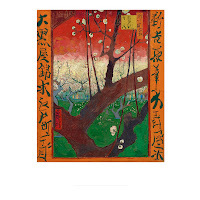 I then found a painting by one of my favorite artists - Vincent van Gogh called "Flowering Plum Orchard" It is a painting inspired by Japanese artist Hiroshige. Van Gogh's painting is new for me as I did not know he painted in this style and nothing I have studied about him indicated that he painted in this style. Below is the picture he painted. I decided to use this as inspiration for my design. I love the use of color in this piece and the branch lines that seem to frame the plum flowers, and then the Japanese writing that frames the picture again. I absolutely love the idea that Spring will be here in a matter of a few days; although, there is so much snow, it will probably be weeks before the spring flowers break through the last crusting of ice. 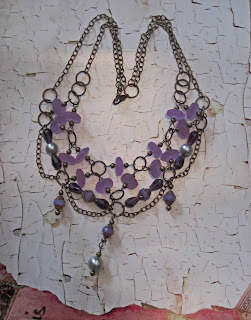 So, in the meantime, I will be creating pieces that remind me of the spring flowers I long to see. 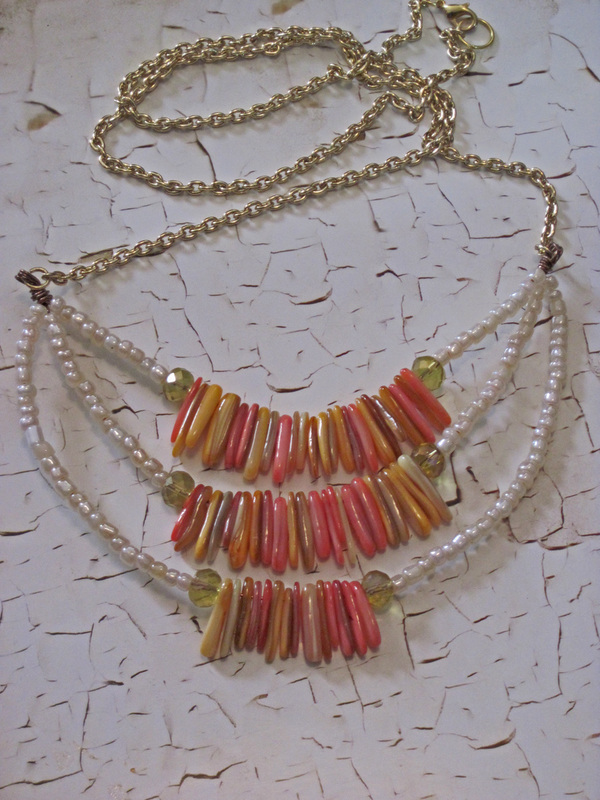 Below, are a few freshly designed necklaces created with the rich colors of orange, green, yellow, turquoise, cream, and my favorite - purple. They will be posted at ursyllabs.etsy.com over the weekend. There is another giveaway of Nunn Design pieces! - this is a great giveaway. 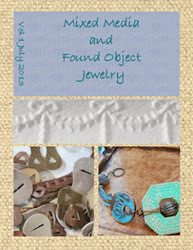 Strung Out Blog by Beadaholique is giving away a stash of Nunn Design pieces to one lucky winner. 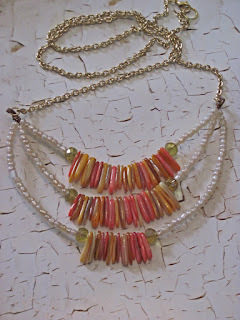 Without being too greedy, I would love to win this also....guess that makes me sound a bit like a bead-addict. Below is a picture of the beads that are being given away! 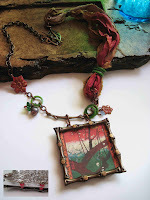 Nunn Designs' blog spot, "Nunn Design Notebook", has a beautiful epoxy clay and bangle shown - with a chance for them to reveal the technique tutorial of it, which I think makes winning this from Strung Out awesome! I am going to venture out of my comfort zone and blog about one of the other sites I visit. One of my favorites is the Art Bead Scene Blog; they offer great inspiration and information. With this recent blog post they are offering a stash of beads, which I would love to win. One day, I would also love to participate in the Bead Cruise, but that thought will be for another day. 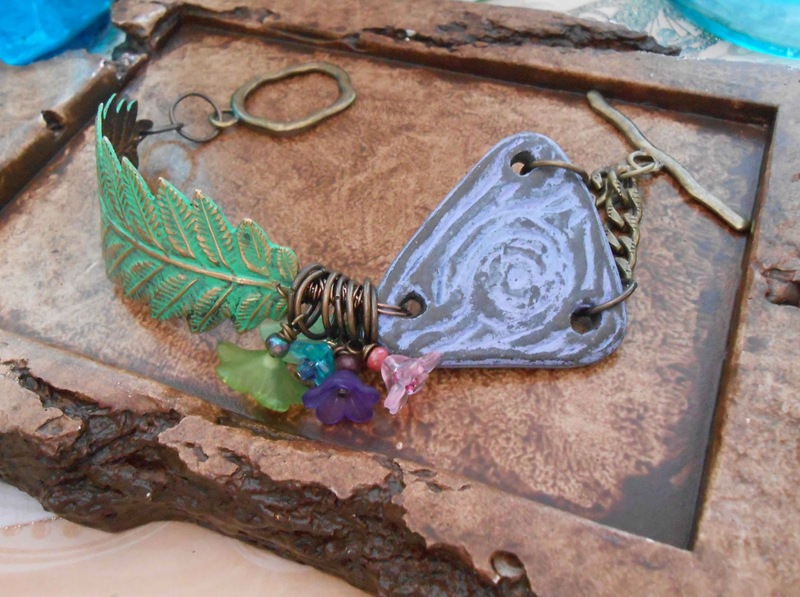 Even though this blog post is about the cruise events, it is also a giveaway to one lucky winner, which I hope is me!...lol....- I was also inspired by some of the jewelry pieces that were created and shown. My favorite piece made by another artist has to be the nested earrings with the beautiful glass beads and wire wrapped base; below is a picture of them. I also posted several pictures of the stash of beads that I thought were interesting and inspiring. From what I read, the stash of beads were gifts given on the cruise! Check out the site if you want more information and inspiration!